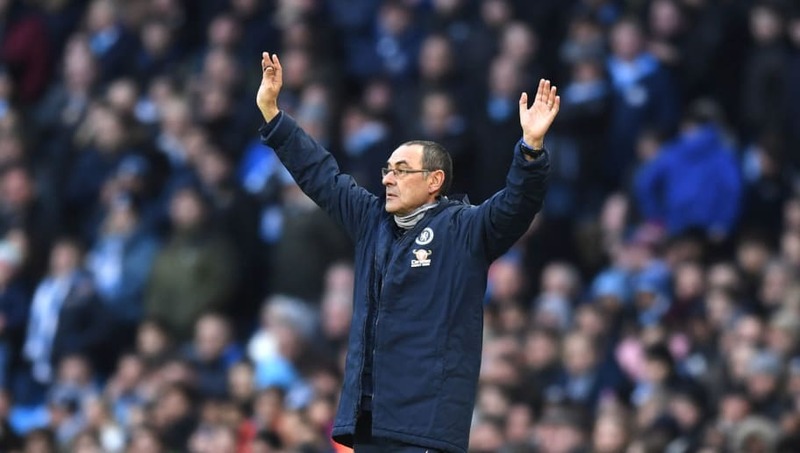 Maurizio Sarri is running out of time to convince the Chelsea hierarchy to stick with him, just seven months after being appointed. The ​Telegraph report that the Italian's future will be decided in the next fortnight, as the club target Champions League qualification ahead of success in any domestic cups – with the Carabao Cup final coming up at the end of the month. The ​Blues are in a dogfight with ​Manchester United and ​Arsenal for the ​Premier League's fourth Champions League spot, all separated by just a single point and with one goal on goal difference between all three. A humiliating 6-0 defeat at ​Manchester City leaves the west London side at the bottom of that particular pile, with the club now looking hard at the Europa League as a potential alternative route into Europe's premier competition for next season. The ​Sun report that Blues players took time to have a frank conversation between themselves when they arrived for training on Monday – although given the rumours of 'player power' in the club's most recent managerial departures, that conversation may or may not comfort Sarri. Chelsea will look to bounce back from Sunday afternoon's humiliation in the first leg of their Europa League last 32 clash with Malmo on Thursday, a game which kicks off a run of four consecutive games in three different cup competitions. Monday night sees Manchester United visit west London in the fifth round of the FA Cup before the return leg of the Malmo tie – with the Carabao Cup final against Manchester City bookending the cup(s) run on Sunday.